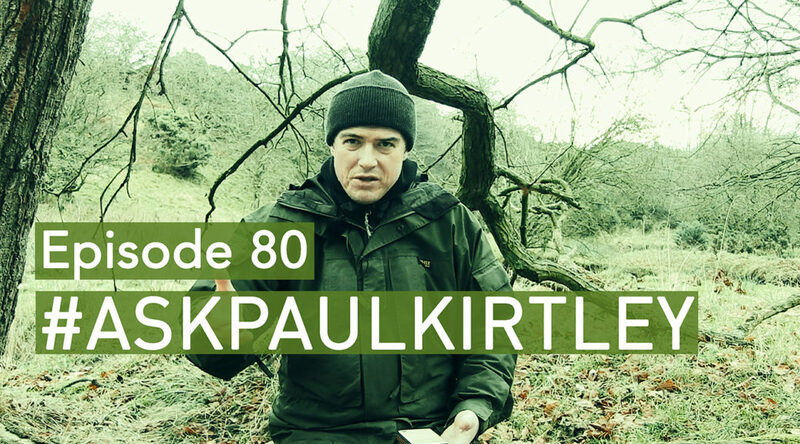 In this episode of #AskPaulKirtley, I answer questions on what’s inspirational about wild places, carrying a lock knife for bushcraft, why use two bags for canoeing, and some tree and plant ID of berries in Quebec. There are also a few important announcements. Huge thanks from me for this terrific series of podcasts. I haven’t asked any questions but I’ve listened to every one as they came out since pretty much the beginning. I listen mainly purely for entertainment, but I’ve learnt plenty along the way. Thanks. Hi Mark, thanks for your comments and your continuous support of, and interest in, the #AskPaulKirtley series. I’m glad you’ve found them both entertaining and informative. On the podcast train I will jump and move with the time :-)! Thanks Paul, you always manage to get me away – albeit temporarily – from a life that often seems far too busy. Happy New Year Paul and many thanks. Thanks for another enjoyable video unfortunately some of the “crap” you mention that is beyond our control directly affects some people especially us Brits who live abroad in the EU and have been left in the lurch by Brexit. No offence intended and look forward to continuing learning along with you, Happy New Year for 2019. Thanks for all the Ask Paul Kirtley episodes, but it’s easy to understand your decision. I’m now directing my grandson to your site so he can get tips when I’m not around, so it’s good to know the info is still available. Happy new year Paul. I’ve really enjoyed your #Ask Paul Kirtley format and look forward to its reincarnation on your podcast. Thank you for sharing your incredible volume of knowledge and encouragement to explore the outdoors. Much appreciated. With the Ask Paul Kirtley series you left us (and posterity) an amazing wealth of knowledge, with a passion and altruism rarely seen. I want to thank you for all your great, professional work, and look forward to the new format. You are one of a kind Pablo, thank you so much. Ha! Ha! Your rants leave me reeling with laughter. You sound like me! Especially when you said something like,”…talking about the web?…I’m trying to tell people how to consume free material on the web… and you’re complaining about it!” The facial expression you made was priceless as your arms opened up. Don’t let them bother you. They’re like seagulls who flock and squawk and fight over crumbs you’re trying to feed to the doves. It was never meant for them, and they presume you owe them something. Stupid seagulls! All I can say is you’ve got me hooked and I really enjoy all you hand out to us, in any format you choose. Very much appreciated. Thanks for all you do. Your site is a definite encouragement to learn and an inspiration to get off my comfort zone. My question is how do you feel about safety glasses during axe use? In my US industry life they have become very important. Your thoughts? I hope your 2019 brings you the best of conditions for your activities. Sad to see this go, Paul. I’ve watched almost all of them since somewhere near episode 1. I guess I’m an minority in that I watch these, but less often the podcasts. But you make clear your reasons for the change. Guess I have to adapt now! One thing to consider – I always watch the AskPaulKirtley episodes via your website. Does this get counted toward the youtube views? Or is there perhaps a separate statistic for your views via the website? Anyway, thanks for the impressive amount of very sound and comprehensive information you’ve given us over the years. It is well appreciated. Thank you for the fantastic work!